Are You Sending Your Teen the Wrong Message? Are you dependent on a drug or a drink? Sadly this has come up today, so I feel I must address it. If your teenager is struggling with substances, please examine your own behaviors. It’s extremely difficult to admit if you might be drinking a little too much, or that you still smoke marijuana, or that you can’t manage your pain on your own so you have to have a narcotic painkiller every single day, or that you can’t fall asleep at night so you use a sleep aid, or that your anxiety overtakes you on a regular basis so you have a daily dose of Xanax or Klonopin. Most of you who do one of these things will easily brush this blog post aside and said that it is prescribed, and that you have it under control. If you drink too much you’ll say something like, “It’s my one vice,” or “I still function normally,” or, “I always have one glass of wine to wind down, but I wait until the day is done.” If you don’t drink often, but when you do you always get a buzz or drunk you will find ways to justify that too. Any of these habits are generally unhealthy. Your teenager uses this kind of thing to justify their behavior. Believe me, I hear it in my office all the time. I will be working with a teen who keeps getting drunk on weekends, and I’ll ask their parents to keep a dry house (meaning absolutely no alcoholic beverages in the house). Parents who have no need for alcohol immediately comply. However, other parents will make excuses like, “I can’t have company over and not serve wine and beer. That’s just not done.” The teenager will tell me they know it’s fine to keep doing it because their parents do it. Just because you have a “vice” or an occasional way to let loose, doesn’t mean I’m calling you an addict. I’m simply asking you to be gut level honest with yourself if your teenager is acting out with drugs or alcohol. If asked, would you be able to never smoke another joint? 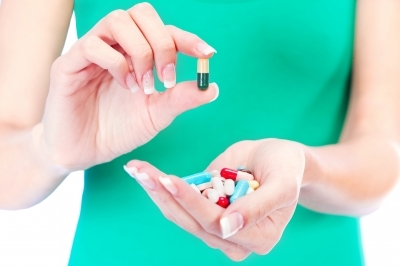 If asked, would you be able to ask your doctor to wean you off your sleep aid or your Xanax? Sometimes all it takes for your adolescent to quit abusing substances is to see you quit. That helps them take it seriously. Most times if you continue but ask your teenager to completely abstain, they will see you as a hypocrite and you will lose credibility. Teens are at a stage where your actions count for a whole lot more than what you say. It was easier when your kids were younger. They pretty much took you at your word and didn’t question it. Now they question everything and are watching your every move. Also, if you think you are secretly having a beer a night or secretly smoking after they go to bed, 9 teens out of 10 know it. They are not stupid, and they are far more astute than we think. So, if this post applies to you, please don’t read this as condemnation. Please read this as something very serious to consider. You might make a huge difference in your child’s life, and after a few weeks you’ll probably feel better too.